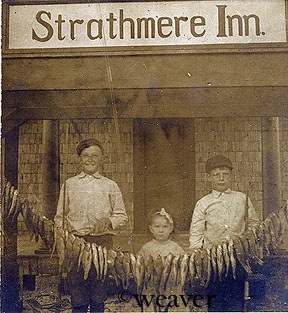 The photos on this page are more from the McCullough family history. 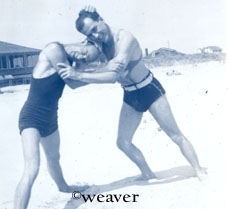 They were given to the website by Ken and Kate Weaver. 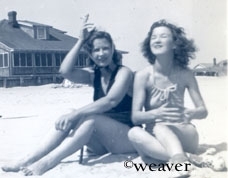 The photos came from two albums that belonged to their Aunt Jean McCullough Johnson. 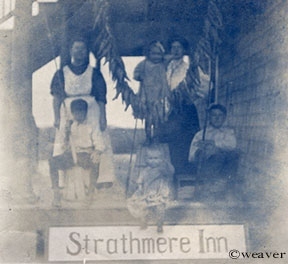 Jean was the youngest of the McCullough children and she was one of the few babies that were actually born in Strathmere. 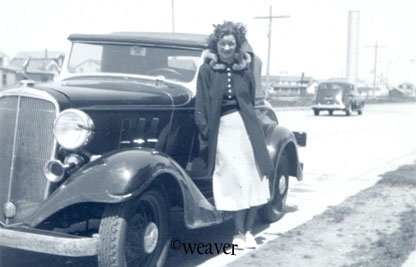 She was born in the family home on the corner of Tecumseh & Commonwealth. 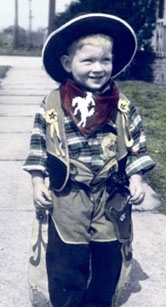 Here are 3 early photos, they look to be from about the mid-Teens. 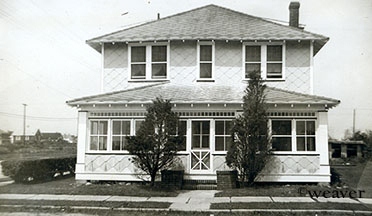 Taken at the McCullough's home on the corner of Tecumseh & Commonwealth. We are not sure who any of the children or ladies are. 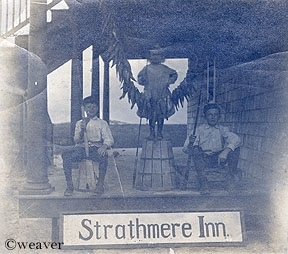 The photo in the center is an old postcard, unused. Above is from 1937. 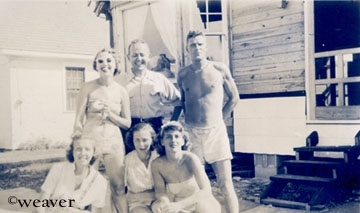 It is Joe McFadden, Nancy McCullough, lifeguard Johnnie Trainor and Ken Weaver Sr. A few Strathmere homes, including Mrs. Price's house, can be seen in the background. 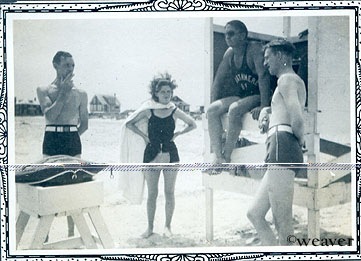 Some 1938 beach shots. Al McCullough and ? 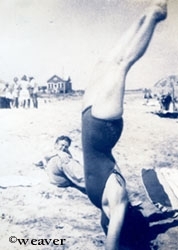 - Nancy does a handstand on the beach - Del & Jean. Jean by the car, parked on Commonwealth, near the family's home on Sherman. 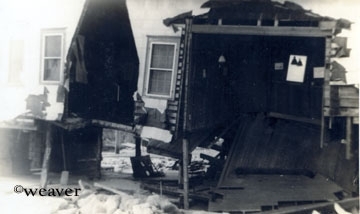 Here is a great storm photo from the late 1930s. 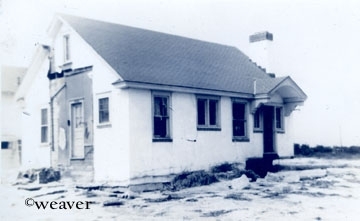 You can see Mrs. Price's house which use to stand beachfront on the end of Sherman. Behind it is the Stackhouse, which is now on the corner of Sherman & Commonwealth. Behind it looks like the concrete house that collapsed on the beach. 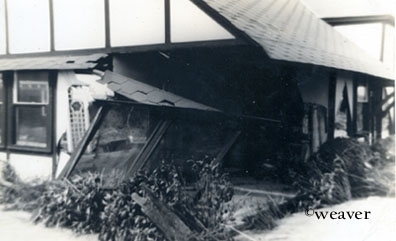 Some photos taken after the 1944 hurricane. 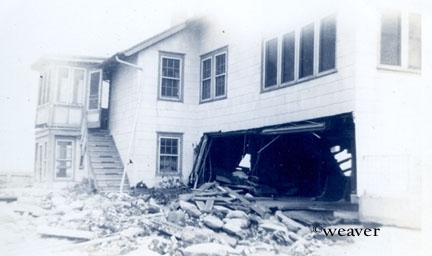 The next three photos appear to be Mrs. Price's house, which was beachfront at Sherman. 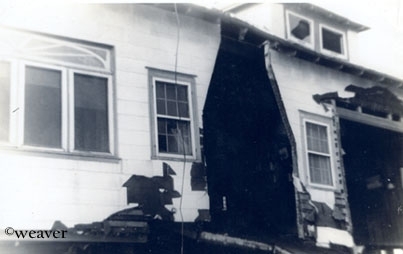 More hurricane photos. The first appears to be Tecumseh. 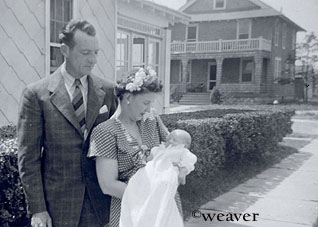 Joe & Bish McFadden with goddaughter Sue Johnson, next to the McCullough home on Sherman, with the Weaver's house in the background. 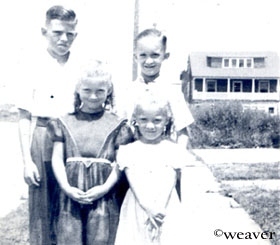 Aunt Mary and Uncle Bill 'Bucky' Weaver and cousins Jackie and Janet. 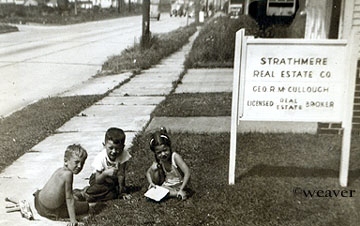 Richie Johnson with cousins Bob & (possibly) Mollie McCullough play in front of the realty sign on Sherman/Commonwealth. 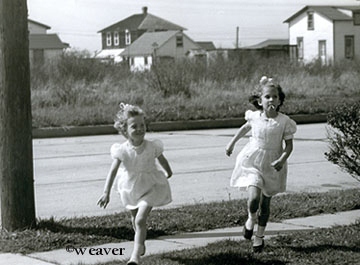 Below are cousins Sue Johnson and Mary Beth Spiecker running along Commonwealth towards Sherman. 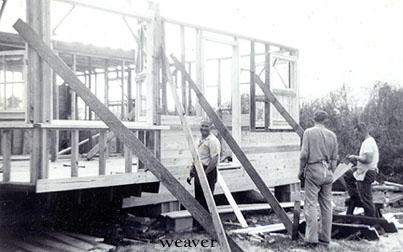 The next 3 photos are construction on the Moore house on Vincent. 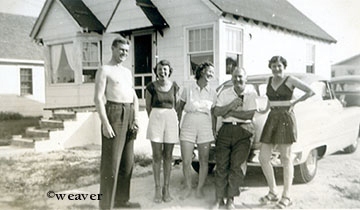 First photo - The lady in the sunglasses is Dot Moore, next to her is possibley her brother Herb. 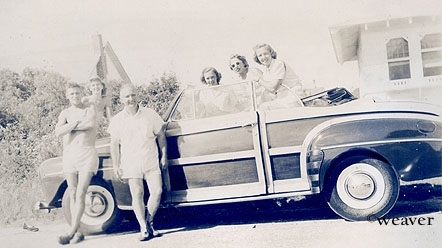 Second photo - Harry Moore leaning against the car. 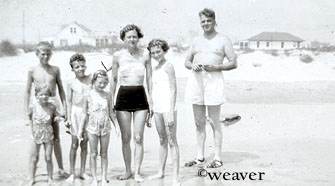 Photos were donated to this site by Ken Weaver & Kate Weaver. All images on this page are Copyright ©Weaver courtesy of www.strathmere.net. Photos were donated for use on this website only. They are not to be copied for commercial use.